Now for something scientific but which is equally "moving": visualizing data through biplots. 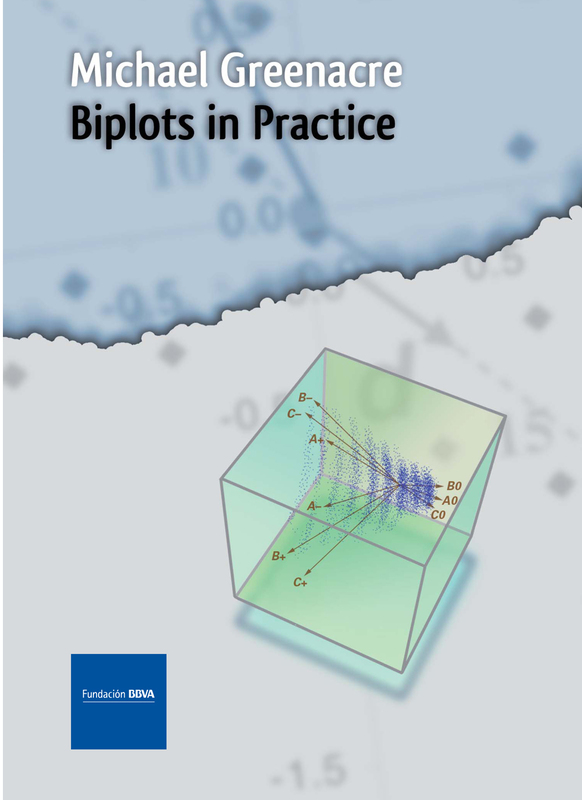 A biplot is simply an extension of what statisticians call a scatterplot. A scatterplot plots two variables, often called x (the horizontal axis of the plot) and y (the vertical axis). A biplot includes many variables at the same time, but because it is trying to show many relationships at the same time, it compromises by showing the data approximately as best it can. Opposite you will see the cover of my book, published in 2010, on this subject. The book was published by the BBVA Foundation in Madrid, with excellent production by Rubes Editorial in Barcelona. The book is sold without profit and is also available online for free download at the website www.multivariatestatistics.org. Video showing a three-dimensional view of a set of points (countries measured on three economic indicators). At one point the country points almost line up, showing that the three-dimensional configuration is approximately two-dimensional. The rotation spreads out the configuration of points, pausing at that two-dimensional view. (Since one's eye can flip between seeing a regular cube and a distorted one, try to keep the "Purchasing power" axis at the back, away from you. Arctic Frontiers 2011: "Tipping Me Softly"